Are you the next Steven Hawking? Albert Einstein or even Leonardo Da Vinci? 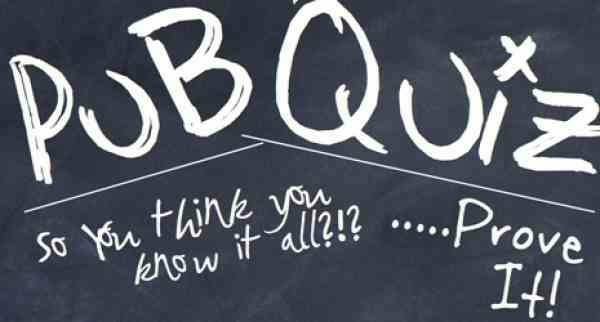 Come and prove it at our Pub Quiz this wednesday. Form your all star team of up to 4 people or show up and form a team with new friends. 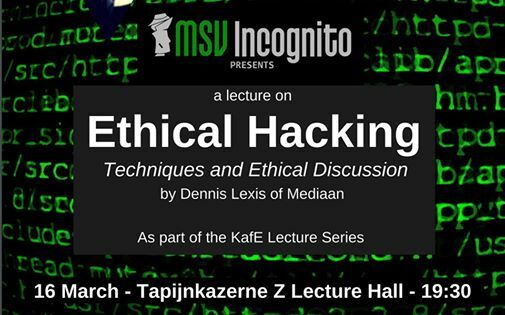 Join Incognito at the Department of Data Science and Knowledge Engineering where we will host locally-based lecturer Dennis Lexis of Mediaan (Heerlen), who is going to give a lecture on his days as a hacker-turned-ethical hacker. We will be discussing the techniques used in breaking through security systems, malware analysis, and reverse-engineering all from the perspective of a professional hired to break into their own employer’s systems to find weaknesses in their defenses. We will also discuss the legal and ethical ramifications involved in such ventures. If you’ve ever been interested in the concept or legality of hacking, stealing information from businesses or governments, or being hired to do so as an “ethical hacker,” this event is a must! Join us for a fun night of pool where you can show off your skills and challenge for the title of DKE’s king/queen of pool! This event will take place on Tuesday 14th March at 20:00. We will be reserving a couple of tables so we can all play a few games of pool. The prices to join for the whole night are €5 for non-members and €4 for members. Please bring cash. Lightning Lecture – New event series! Incognito has a new event series! Lightning Lectures are short (<20 min) lectures over intellectual topics intended to present a controversial point of view over a specific topic. These events are created, hosted, and presented by your fellow students! Income inequality is rising at an unprecedented rate. Automization of the workforce threatens up to 2/3 of ALL JOBS, and for those without technical skills and degrees from universities, the situation is dire. By 2050 the UN estimates that close to 75% of all jobs in developing countries will cease to exist, leading to incredibly dire circumstances in countries already strained by globalization. Those who have little will have less, and those who have much will only accumulate even more wealth. A huge societal restructuring is already underway, and the gap between the rich and the poor is massive and growing every day. Humanity stands at the precipice of a global crisis that is arguably bigger than WWI or WWII combined. Every person on Earth is affected by automatization and the consequences could lead to massive immigration crises, BILLIONS of economic refugees, and potentially hundreds of millions of deaths. This will not go quietly, and the powers that be will surely do everything they can to maintain their hold on the institutions that are at the heart of this crisis. Let’s play Devil’s Advocate: is the prospect of all-out war such a bad thing in the end? In this lecture we will discuss the (likely) causes of the next World War, who the major players will be, and what the outcomes would be. Like a wildfire raging through a forest, destruction will be rampant – yet also like a forest fire, the destruction of institutions and redistribution of wealth and power could lead to newfound prosperity and an opportunity for humanity to re-evaluate its priorities and purpose both on Earth and amongst the stars. A secondary lecture over a similar topic will also be presented if there is enough time: What will be the catalyst that sparks World War 3? An assassination sparked World War 1, and an invasion sparked World War 2. Yet these events are increasingly unlikely in a modern world, where full-out invasions are impractical and assassinations much more difficult to pull off. In this brief lecture we will discuss the instability experienced in the Middle East, the major external players (Russia, China, USA) jockeying for power in the region, and the impact refugees have on the geopolitical strategy of major nations. *** Please note: the opinions stated in these lectures are solely those of the presenters, and do not in any way represent the views of MSV Incognito or any of its affiliates. These lectures are for intellectual debate on the merits (or lack thereof) of the lectures being presented. Please keep in mind that respectful debate rules must be followed. Greetings! Incognito would like to invite you to our inaugural International Food Night. This is your chance to share your country’s* favourite or iconic food with your peers around you. We’d like you to prepare your food in advance and bring it to the Tapijn common room and share portions with your friends whilst trying their offerings. We are also in need of additional microwaves/ovens so that the pre-prepared food can be reheated and shown in it’s full glory. Please fill out the form below to tell us who you are, what you’re going to bring, where it’s from, it’s dietary information and if you can bring a microwave. *if you don’t like your country/have no country your call home/dislike the food from there/etc. then feel free to make something from elsewhere. With the Businessday coming up we from the ProKtiE committee thought that it would be usefull to have a “How to write a CV” session with Ellen Narinx. Ellen works at DKE as a contact for KE@Work and works for our alumni office so she has seen a lot of CV’s. 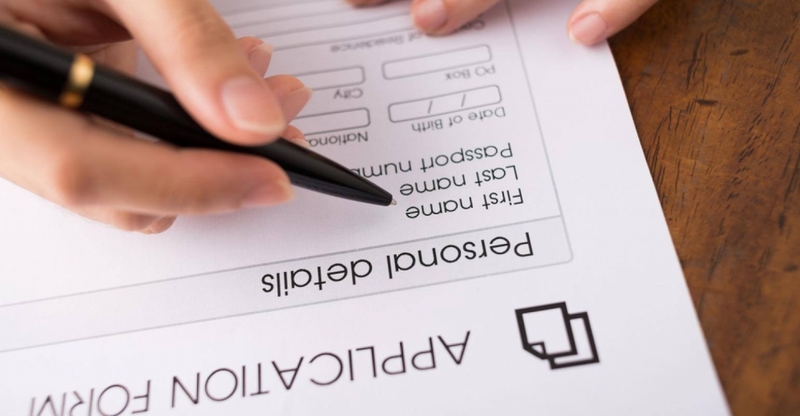 Bring along your existing CV, if you have one, or create one during this event. Recovering from the BOB last week? Or just want a nice relaxing night with friends playing games? 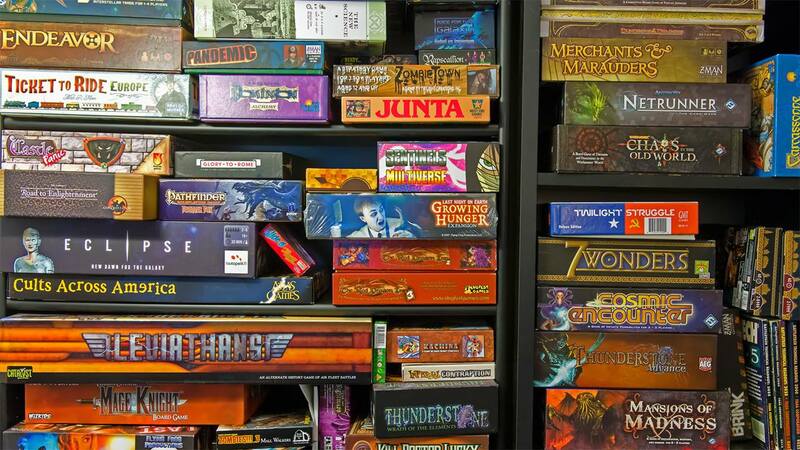 Then join us this Wednesday for an action packed night of board games and no bored students. If you have any great games you want to share with others please bring them along or if you have any suggestions for great games you can request it here and we hope someone will be able to bring them along. As always you are allowed to take your own snacks and drinks, but please clean up after yourselves. We will also be selling drinks for €1,50 for 1 or €6 for 4. Due to the success of the last MysteryLAN in November, we decided to organise an extra, bonus MysteryLAN for another fun weekend of gaming! 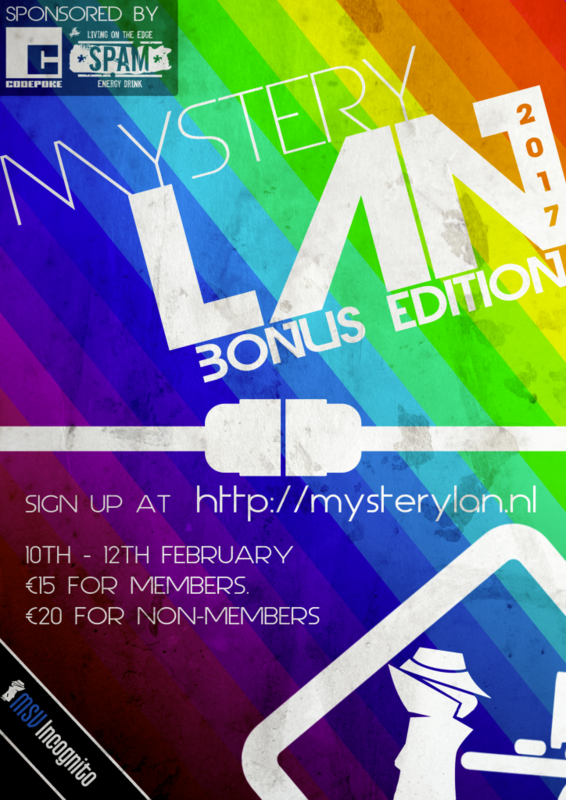 On Friday February 10th, from 18:00 onwards, you are welcome to take part in the MysteryLAN for 3 days of GAMING! The event will last until Sunday afternoon, February 12th at with a prize ceremony for the champions. – A Mystery Game – What could it be? We have been working hard behind the scenes to make this LAN even better; you don’t need to bring your own internet cables and you don’t need to worry about the speed. In addition to that, the event will be hosted at CodePoKE’s awesome new location near the Markt. The entrance fee for MysteryLAN is €15 for members. The entrance fee for MysteryLAN is €20 for non-members. The entrance fee for MysteryLAN is €30 when you also want to become a member of MSV Incognito. If you want more information, feel free to contact us at mysterylan@msvincognito.nl. MSV Incognito is proud to present our first Winter Ball! Hosted in one of the most beautiful bookstores in the world, the Dominicanenkerk, where you can end the calendar year in style! Dress smart and come early for complementary champagne and amazing music from our DJ’s! Both students and faculty staff are invited, so let’s get together and celebrate our year in Maastricht. The price of one beverage will be 2,75. The price will be 15 euros for incognito members and their +1, and 20 euros for non-members. You can come pick up your reserved ticket with Megan or Callum, if you selected the option to pay by card you have to come pick up your ticket with Megan. Come join us for the first KafE lecture of the year! Each block, the education committee EduKatiE organizes a guest lecture covering intellectual topics usually pertaining to our study. This time, we’re lucky enough to have two guest lecturers! Caroline Calomme from UM’s Faculty of Law will open the evening with a short presentation about the faculty’s upcoming event regarding law and how it applies to technology. This short presentation will be followed by our main lecturer, Pieter Collins of DKE. He will be presenting an introduction to functional programming, specifically in Haskell, covering all the differences between object-oriented programming and functional programming, and how languages like Haskell are fundamentally a different way of “thinking” in code. This event will take place on a Wednesday, so don’t forget to bring your Incognito Member ID’s to get 20% off La Colombe’s entire menu all evening! See you there! REGISTRATION CLOSES FRIDAY THE 28TH AT MIDNIGHT! The Guild of Assassins is looking for new recruits to join their ranks. However, there is only one way to find out who is most worthy of this recognition: A massive game of sneaking, backstabbing and outright slaughter. Incognito’s event committee, AKtiE, is running an assassination game from Tuesday November 1st until Friday November 25th. Every registered player will be given a target who they will have to kill by stabbing this target in the back with a plastic knife provided by us, thus proving that they are worthy of their spot in the guild. However, if you yourself get killed, you are out of the game and are not able to join back in. The winner of the game will be the last recruit standing or, in the case that by the deadline multiple people have avoided death’s grasp, the player still alive with the highest kill count will take the trophy. We highly advise you to read through the rules since they are quite extensive. Good luck recruits. May the best assassin win! On November 25th, 18:00, we will open the gates to the MysteryLAN, for three days of GAMING! We will finish the event on November 27th with the prize ceremony where the new formed champions will receive their well earned trophies! Of course participation in these competitions is not mandatory and you are free to play any game that you like at any time of the day! The goal of the weekend is to have fun with each other! On both the background and foreground we have been working hard to present you the next edition of the MysteryLAN! With new purchased hardware we can hook you up to a 1Gbit LAN connection and better network management. We will now also supply you with an internet cable! No longer the need to bring your own! We would like to welcome everyone (back) to university! It’s the start of a new year, so let’s make it a great one! -We try to organise as many events as possible. You’ll be updated on the events through our Facebook page, the Facebook groups, posters in DKE, this very website, and e-mail. -The first event coming up is Block Opening Drink 1, which will happen on Wednesday the 7th of September, at La Colombe, from 20.30 onwards. Find more info here. Hope to see everyone there!!! -If you’re ever struggling with any courses, feel free to send an e-mail to edukatie@msvincognito.nl. We can try to help you out. We also organise tutoring sessions once every block, usually the week before the exam. Info on that will follow. -We have a Wiki! It has a lot of information on courses, some old exams or summaries of courses, etc. It is currently in the process of being updated, but remains usable! -We’re changing book shops this year! Instead of the online webshop, we’ll now have physical book sales in the common room of Bouillonstraat. If you miss these for any reason, you can get the books at Dominicanen in the center! For more information, click here. The book sale will start next week! -If you’re considering joining any of our committees, send an e-mail to the one you want to join! You’ll be invited for their next meeting, so that you can see if you like it. 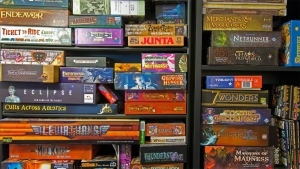 Incognito will host the last Board Game Night of this year on Wednesday June 15th, starting at 20:00. 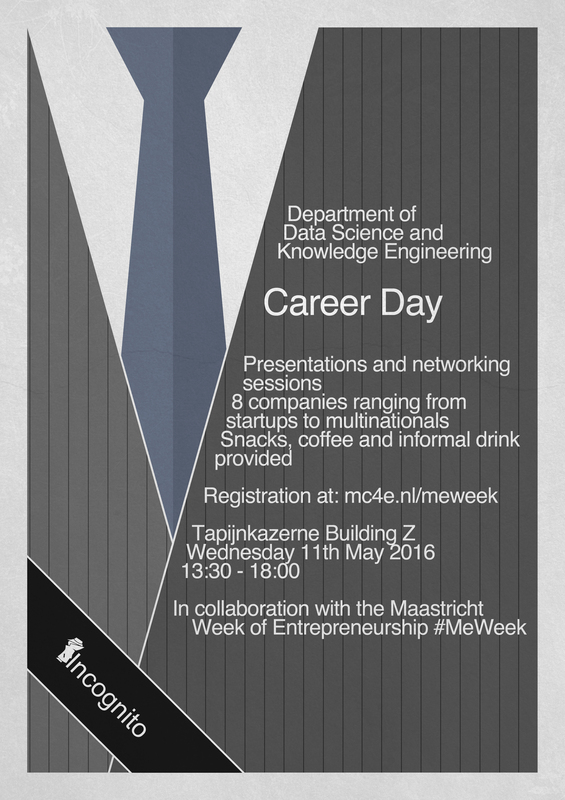 It will again take place at the office of CodePoKE at Maasboulevard 1, on the first floor. We encourage you all to bring your favourite board games or request someone to bring them in this Facebook event. You are allowed to take your own snacks and drinks, but please clean up after yourselves. Also, we will be selling drinks for €1,50 for 1 or €5 for 4. Join the exciting program at Maastricht Entrepreneurship Week (MeWeek) bewtween 9-12 May and find out for yourself what it takes to become an entrepreneur! MeWeek is the largest entrepreneurship event of its kind in the Netherlands, organised entirely by students, for students. Under the theme ‘Make Your Move!’, this year’s edition features world-class speakers on the subjects of innovation, sustainability, social entrepreneurship, and women entrepreneurship. Participants are invited to share their insights about their ventures on their pioneering projects, innovative technologies, as well as interdisciplinary challenges. An Innovator Challenge with the focus to help the local refugees start-up, and the regional finals of the Get in the Ring Pitch Competition are two of the main highlights. Participate actively in the Innovator Challenge – Help the local refugees start-up on their own! 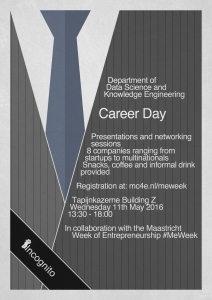 Join the Career Day for tech/IT/business students and meet your possible future employers! Last week Incognito celebrated its 22nd birthday, and the new block is coming up. Two reasons to have a drink together to start off the block as Incognito hosts Block Openings Drink 5: Incognito Birthday Bash, Wednesday 6 April at 20:30. As usual, the drink is held upstairs at Café De Twee Heeren. When you enter the café throught the right entrance there’s a door directly to your right which will take you upstairs. If you can’t find it, you can always ask the personnel for help. The drink will start at 20:30. Only subscriptions at http://mysterylan.nl/join-the-fun/ are valid! It’s time for another MysteryLAN! Here you get a chance to show off your epic and nerdy game skills during a weekend full of gaming! This weekend starts on Friday after the lectures and we will start cleaning up Sunday in the afternoon. €22,50 when you want to join and become a member.